top knob turns to adjust coarseness of grind. 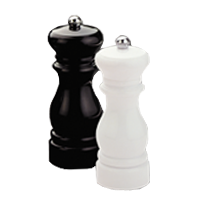 Matching salt shaker also available. 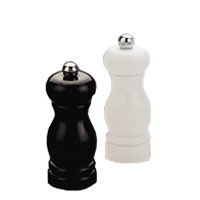 Also available in taller size: 8⅛" and 12½".